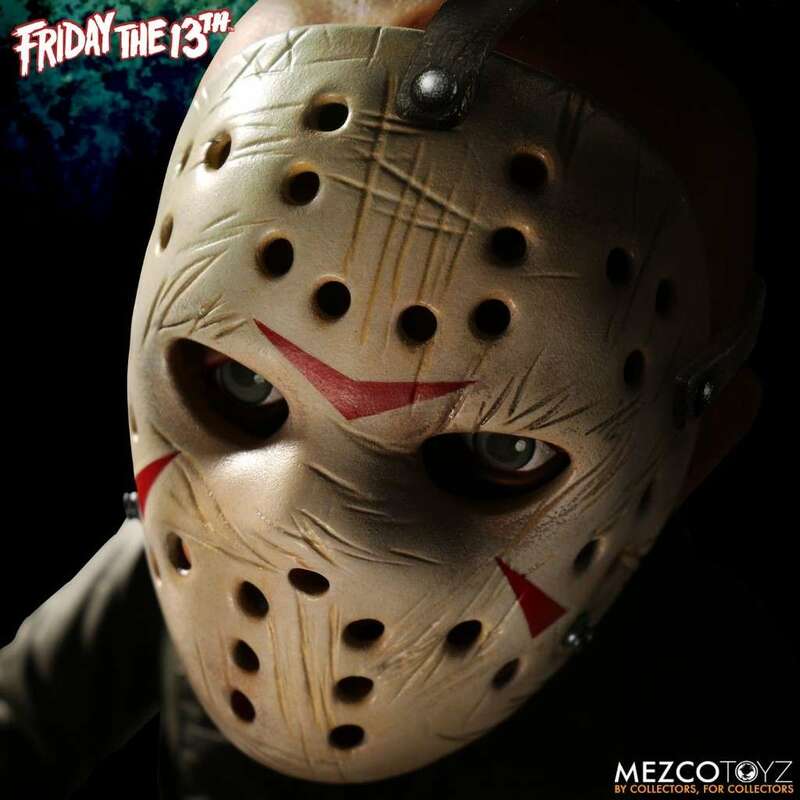 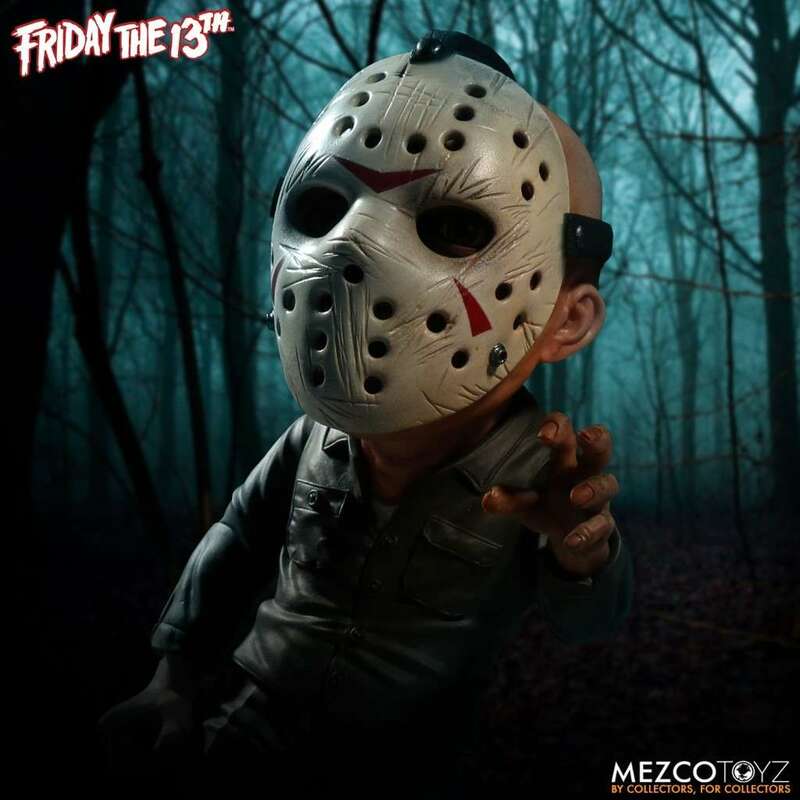 We love Mezco Toyz super deformed stylized figures and now we have Jason Voorhees, the star of the Friday The 13th films and the unstoppable killing machine. 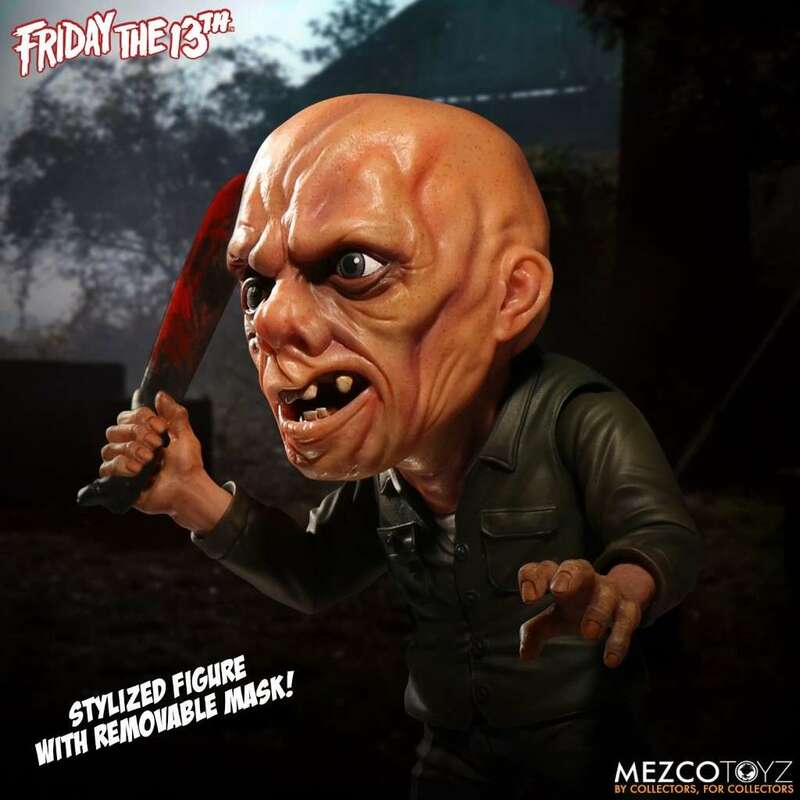 This deluxe figure of the most feared masked maniac is sure to please any fan. 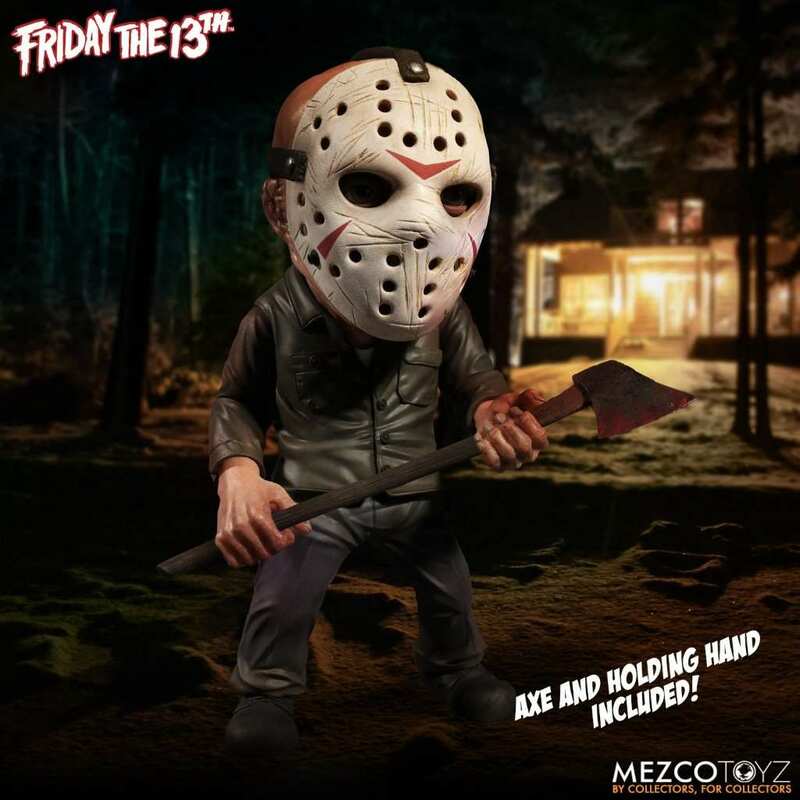 Jason stands at 6" tall and has 10 points of articulation to help recreate iconic poses plus he comes with his signature bloody axe, machete, an alternate left hand and trademark hockey mask which can be removed to reveal a disfigured and scarred face sculpt based on his appearance from Friday The 13th Part 3. 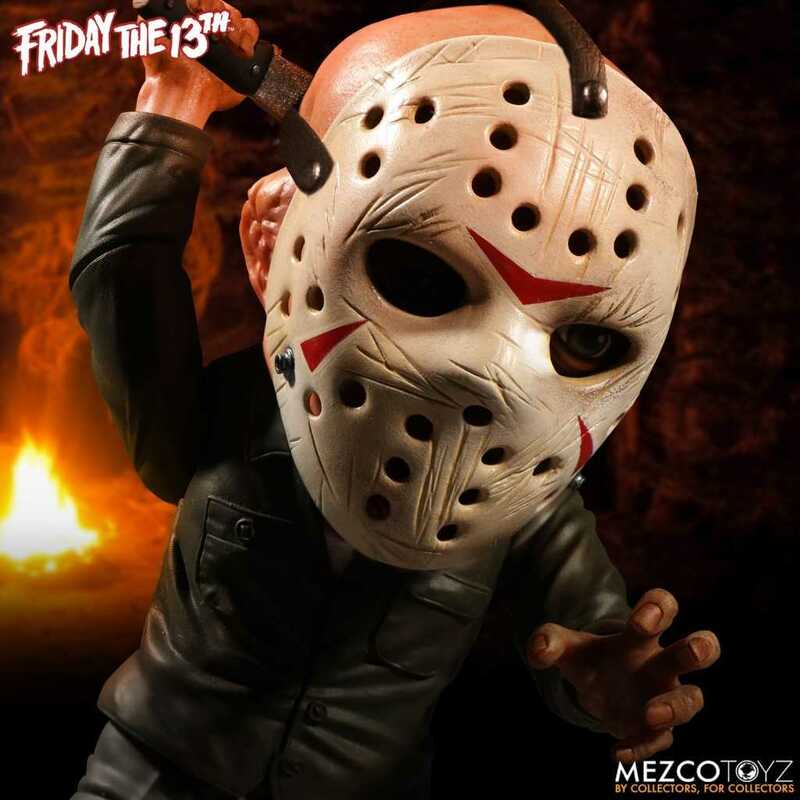 Comes in die-cut window box packaging, which is perfect for any collectors display or campsite.